This piece was turned fairly soon after attending John Jordan's class on hollow forms. 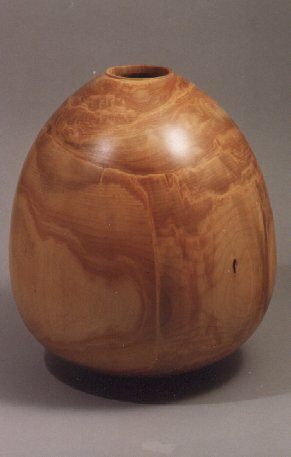 Since I was in Alaska at the time the wood is local birch, the only hardwood of any size available there in the round. Nothing terribly special about this piece although the coloration in the wood is quite pretty. Finish is with sprayed artist's matte fixative lacqueur. Approximate size in inches: 10 X 12.